One reason for the expansion in the number of home musicians at the end of the 19th century and the beginning of the 20th century was the availability of relatively cheap pianos, making an instrument affordable to many who would never previously have had the opportunity. In 1870 worldwide production was about 85,000 instruments per year, which grew to about 600,000 a year by 1910 in the four main piano producing countries of Britain, US, France and Germany. The market included more social groups, a wider geographical area and an increased use by institutions such as schools, churches and hospitals. 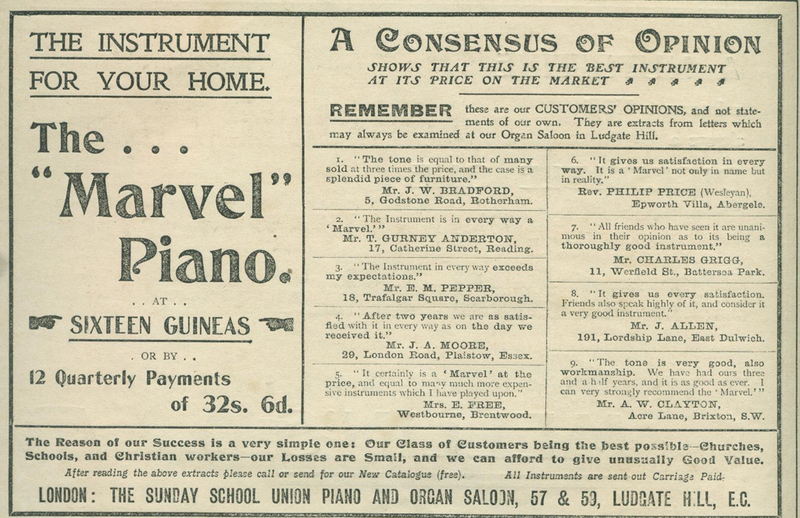 For the home market, cheaper manufacturing methods and monthly payment schemes were thought to have made the piano available to working-class buyers. While this may have been the case for some semi-skilled working class families, as well as the expanding middle classes, there is little doubt that the most part of the working class would have found even the most generous monthly payments scheme beyond their means, regardless of the status conferred by owning an instrument. 32s 6d a quarter would have been a large sum for a bricklayer on 40s 6d a week in 1905: how much more so for an engineering labourer on 18s a week, despite a growing second-hand trade? Having obtained an instrument, music would be needed, unless one was lucky enough to be able to play “by ear”. 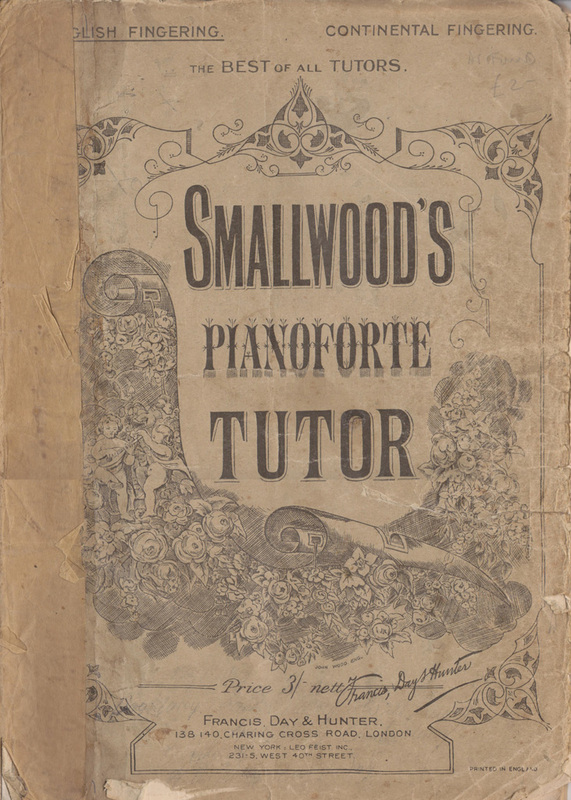 The most part of the piano repertoire from the time of Beethoven onward was written by pianists for virtuoso performers and was beyond the scope of the typical home amateur. Three 19th century collections: Schumann’s “Album for the Young”, Grieg’s “Lyric Pieces” and Mendelssohn’s “Songs without Words” are often suggested as being suitable for those of moderate technique. In 21st century graded exam terms these might cover the range from about Grade 4 to beyond Grade 8. The player of lesser technique, or for whom the classical repertoire was not appealing needed something else. Pieces from the Musical Home Journal would provide very suitable material for those completing such a tutor.